The project modem reached Mafeteng on Friday evening after its busy day in Mohale’s Hoek. This time it was transported 43 kilometres north to Mafeteng by Rethabile, the Community Council Secretary. She handed over to Lehasa and Ithatz, who tested it on Sunday and updated their machines in readiness for the mapping to come. Mafeteng has struggled to map with any frequency for reasons that we cannot always understand. However, the arrival of the modem allows everyone focus with a single purpose and their district map needs to be done in the same spirit. 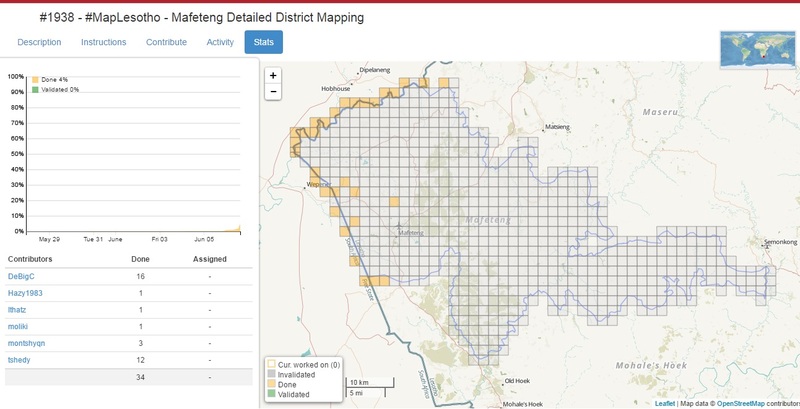 Mafeteng has the smallest land area of the districts of Lesotho, however, what it lacks in size it makes up for in complexity. There is a mountainous “pan handle” of territory in the east of the district, which is isolated from the main landmass and reaches all the way to Semongkong. 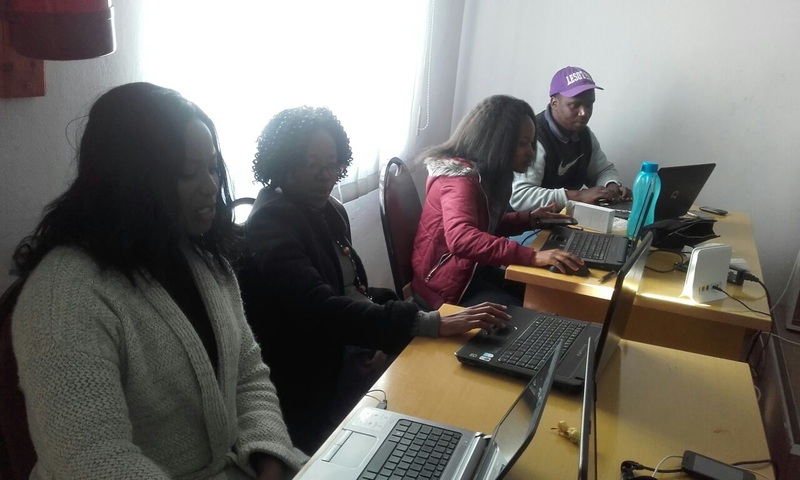 The mapathon kicked off at 9.00 am with 5 mappers: Lehasa, Moliki, Ithatz, Mathe and Tlalane. Mappers are mostly still using ID editor in Mafeteng, which is fine so long as we use Osmose or Keepright afterwards to iron out bugs. An intense morning was followed by a productive afternoon, and with a little crowdsource help from Colin McAndrew, Tshedy and DeBigC the mapping reached 4%. The modem left Mafeteng just before the end of the working day with Tlalane, who has now delivered it to Maseru. 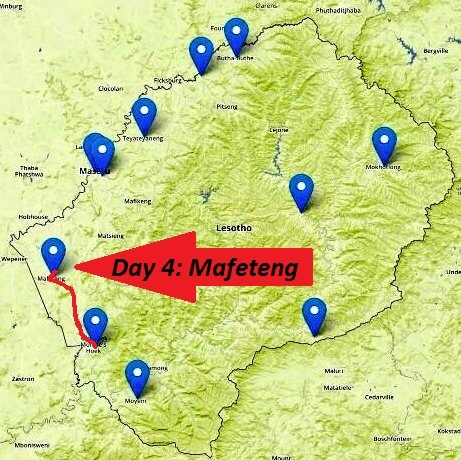 Mafeteng has quite a bit of catching up to do, with some of the mapping now almost three years old there #MapLesotho may already be needing to think about the update cycle.